Taking attendance is a great way to stay organized, communicate with your student families, and track make up credits. My School Books makes it easy to record and track student attendance and features a variety of different attendance options to cover all possible situations. 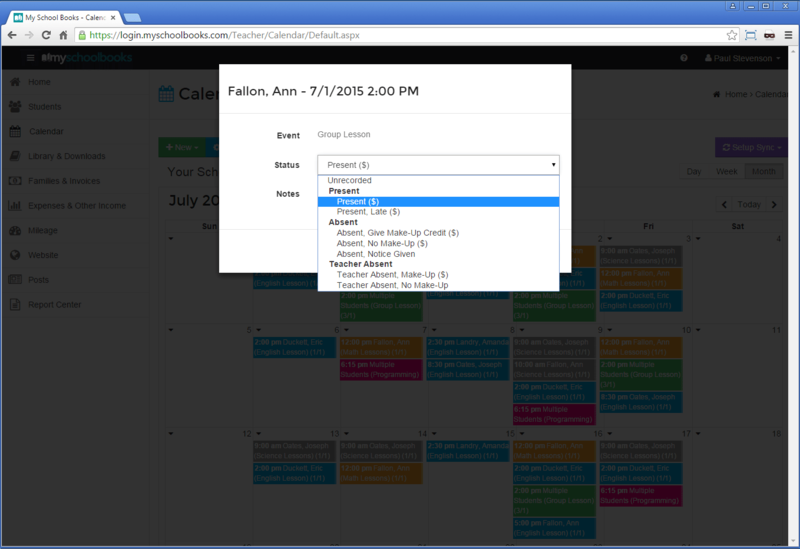 To get started, simply locate the event on the calendar, next, click the event to open the details popup. Lastly, click the “Attendance” button to record the student’s attendance. Forget to take attendance every once and awhile? No problem! My School Books will automatically remind you by displaying all overdue attendance in the school’s homepage agenda. This is how My School Books ensures that your records are always up to date and that you never fall behind on those important details. Communication is paramount to any successful business. Lesson notes are a great way to communicate, encourage and inspire your students by leaving them notes on how well they did at their lesson or things they need to improve on. 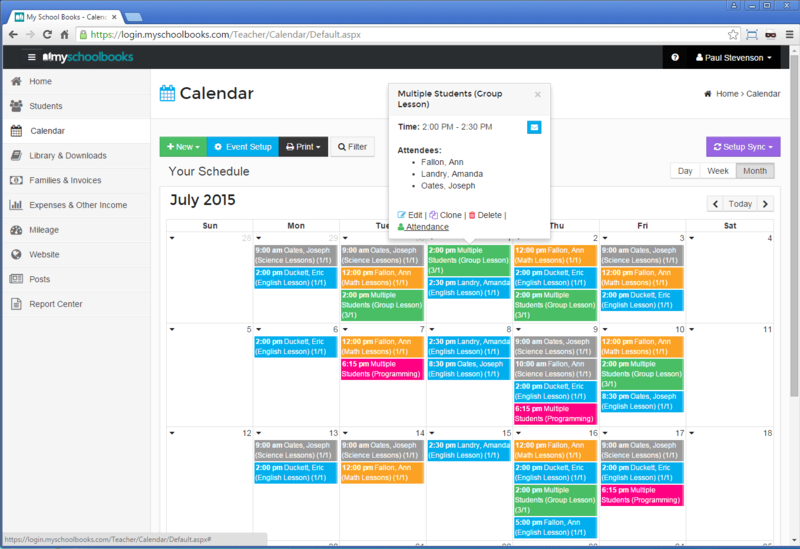 To get started using lesson notes simply click on “Add Notes” when taking attendance. 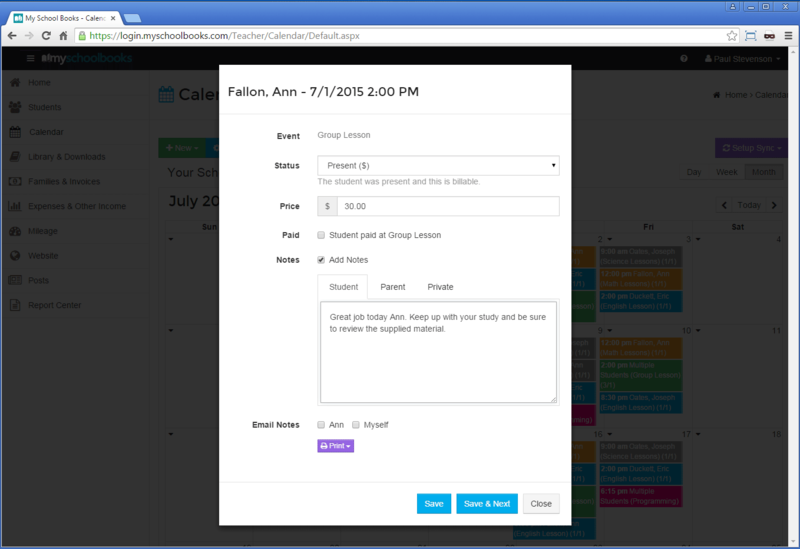 My School Books lesson notes features the ability to send notes to parents, students, or private notes to you! After you have added a note, you can email your notes and even print them out.